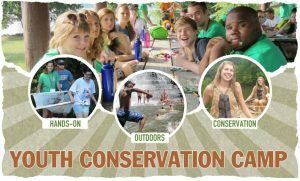 If you are currently enrolled in grades 9 through 12 and are interested in learning more about our natural resources, and studying subjects such as aquatics, soils, forestry, watersheds and water quality, wildlife, and environmental problems, you should consider spending a week this summer at Youth Conservation Camp, July 8th – 14th. You will learn about natural resources through field trips and activities, make new friends with other high school students who share your interest in the environment, and enjoy many recreational activities in the area. The Loudoun Soil and Water Conservation District is looking for two interested students in Loudoun County (must be residents of the County) who would like to participate. The fee for camp, $550 will cover the students meals, lodging, activities and transportation while at camp. Students are responsible for obtaining their own means of transportation to and from Virginia Tech for the beginning and end of camp, plus personal items. The District is offering two partial scholarships of $400 each. For highlights and application form. For more information, please contact Charlotte DeMolay, Education Specialist, Loudoun Soil and Water Conservation District at charlotte.demolay@lswcd.org or call (571) 918-4530, ext. 109. Applications are due to the District office by Friday, April 26, 2019.
healthy food, which equals a healthy you. 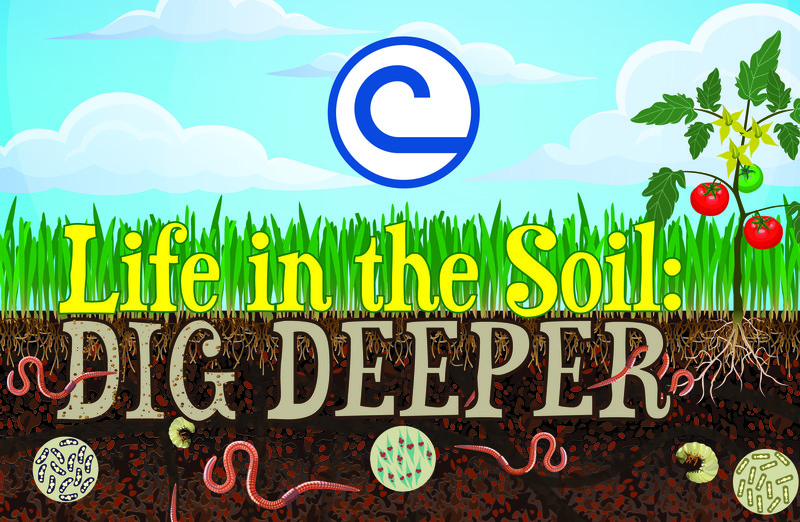 Don’t treat your soil like dirt! Designing a poster and researching the theme can give you a voice in your community on important conservation issues! inspire, increase awareness, and encourage us to work together to protect our natural resources. The Poster Contest is open to all Loudoun County public, private and homeschooled students in grades K—12. Any media may be used, including paint, crayon, colored pencil, charcoal, stickers, paper, or other materials. hand drawn posters in a JPEG format) can be submitted. All posters must be created by an individual student, rather than a team of students. 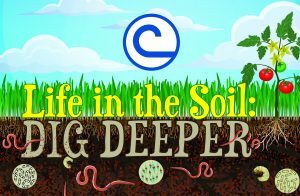 The 2019 theme “Life in the Soil: Dig Deeper” must be included on the front side of each poster. signed by a parent or guardian. can submit for the national contest. and Water Conservation Districts. State winners will be eligible for NACD’s National Poster Contest and prizes. All poster entries should be sent to Loudoun Soil and Water Conservation District. Purpose: To promote the education of Virginia citizens in technical fields with natural resource conservation and environmental protection. To give financial support to students majoring in or showing a strong desire to major in a course curriculum related to natural resource conservation and/or environmental studies. Qualifications: Individual applicants must be full-time students enrolled in or who have applied to a college freshman level curriculum. Applicants shall document a class ranking in the top 20% of his or her graduating class or a 3.0 or greater Grade Point Average or appropriate equivalent of individual scholastic achievement. The applicant’s most recent official school transcript must accompany the application. A copy of a school transcript will not be accepted. Applicants shall demonstrate active interest in conservation. Students must reside or attend school within Loudoun County. Only 1 applicant can be submitted to the state. The Loudoun Soil and Water Conservation District Board will vote on the most qualified Loudoun applicant to submit. Amount Awarded: Four $1,000 scholarships will be given to statewide winners. Two scholarships are awarded on behalf of the VASWCD Education Foundation and two scholarships are awarded on behalf of the Virginia Chapter of the Soil & Water Conservation Society. A check will be issued directly to the selected institution of higher education on behalf of the student. The Loudoun Soil & Water Conservation District is offering a limited number of mini-grants of up to $500 to Loudoun County teachers. The Mini-Grants are intended for projects that integrate soil & water conservation into any curriculum. Addresses soil and water conservation and environmental education objectives. Increases awareness about natural resources. Presents a specific, feasible plan of action to accomplish well defined, short term and long term results. Develops new or expands use of existing educational resources. Offers the potential to serve as a model for use in other schools or classrooms. The LSWCD Board of Directors will review mini-grant proposals and award funding to successful candidates. Notification of grant awards will be made as soon as possible. April 30, 2019, and a final report outlining their project achievements by June 28, 2019. Complete the Loudoun SWCD Mini-Grant Program application form. For program information and the application please click here. Send the completed application form to: Loudoun SWCD, Attn: Charlotte DeMolay, Education Specialist, 30 Catoctin Circle, SE., Suite H; Leesburg, VA 20175 or email: charlotte.demolay@lswcd.org. 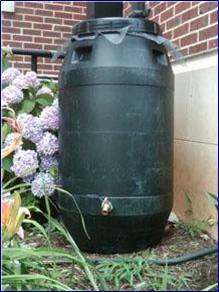 Proposals can also be sent through the county inter-office mail system to: Loudoun SWCD, MSC#95.